Description: This detail of a 1827 map shows major rivers, lakes, coastal features, settlements, and roads in Saint Johns County. The waterways shown that cross Saint Johns County are the North River, the Saint Johns River, and the Mantanzas River. 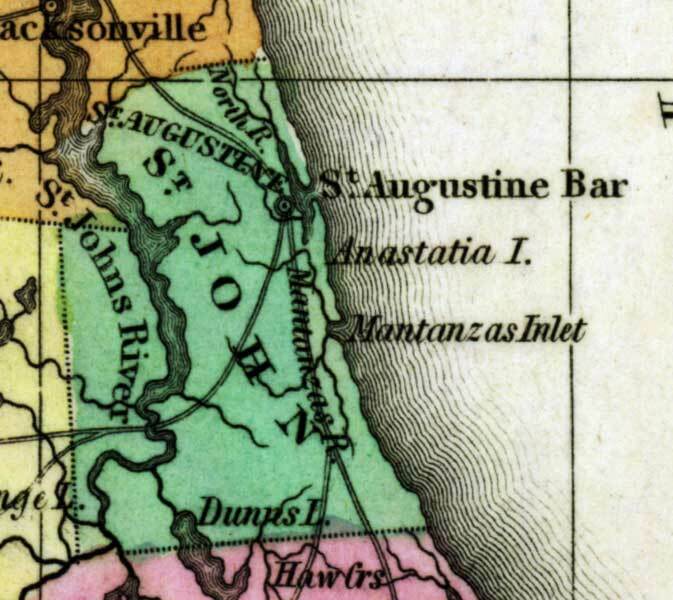 The coast features Anastasia Island, the Saint Augustine Bar, and the Mantanzas Inlet. Sections of proposed shipping canals are also shown.